GET AWAY FROM THE SEDENTARY SLUMP! Text neck, slumped posture, chronic low back pain, stiff legs, achy hips - it’s not uncommon to see people not affected by these conditions, thanks to the modern gadgets, cell phone, tablet, or other wireless devices that we use frequently and for too long. To make matters worse, most of you have the sedentary desk jobs! And if you have one, the job can be a pain in your neck. The truth is that our bodies are designed to stand and move, not to sit for a third of our lives. Most of us tend to ignore the potentially deadly impact it could inflict on us that includes hypertension, diabetes, excess body fat around the waist and abnormal cholesterol levels. Thankfully, there is a fix that can stop you from getting in a sedentary slump. All you need is a simple get-up-and-move strategy and that works! Once you take those little steps to eliminate the habits that are affecting your health, you will be baffled to see how it contributes you to become a healthy and productive person at work. When you really break it down, it’s really not rocket science. Yes, there are quite a lot you can do for staying healthy and even keeping fit while at a desk. Our bodies can benefit from simply standing up! 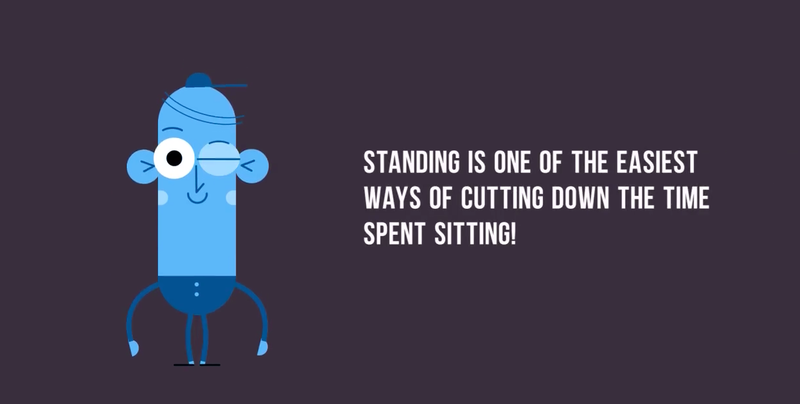 Standing is one of the easiest and most consistent ways of cutting down time spent in the sedentary position. Think of it as a reset button on your body. Standing desks are gaining popularity these days. Look for every opportunity where you can stand while at work; see if you can set up your work station so that you can stand and work instead of sitting all day long. OR set a timer for every 20 minutes - and get up, move; you can rock back and forth and lean side to side. It’s about moving. Staring at a computer screen non-stop, you would normally associate this with a desk job. With so many of us using computers at work, eye strain has become pretty common job related complaint these days. If you are someone who spend couple of hours or more a day on a computer, you may well have a condition called computer vision syndrome (CVS). It can lead to physical fatigue, productivity loss, and increased instances of errors committed at work, and red eyes. Try blinking, blinking moistens your eyes, it prevents dryness and irritation. 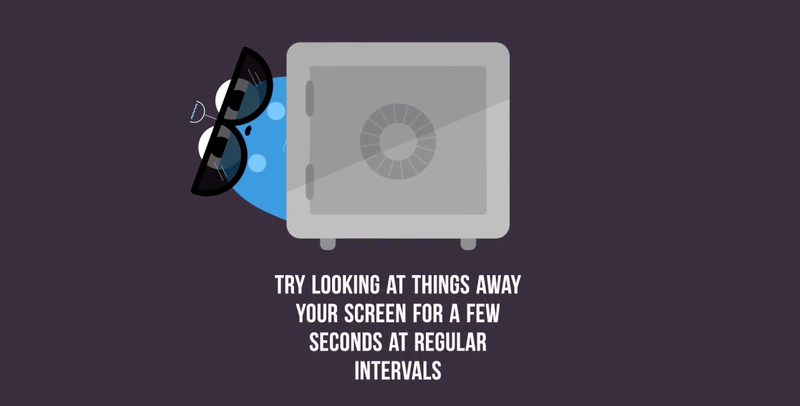 Try lowering or heightening your seat level according to the screen so that your screen is at your eye level and this can prevent neck discomfort as well. Another exercise for you is to look far away at an object for 10-15 seconds. 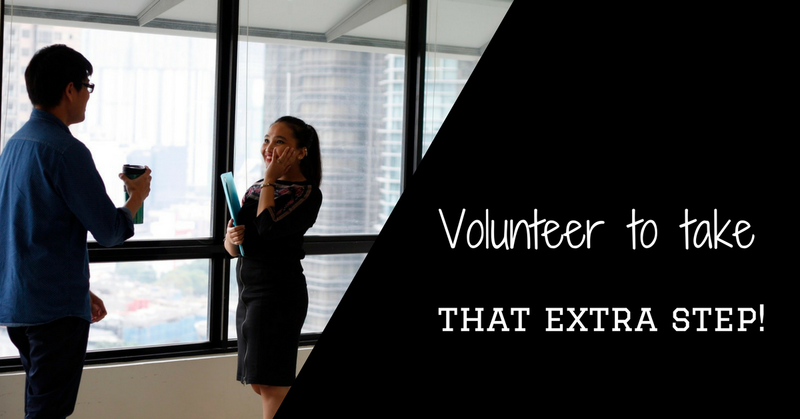 Volunteer to take walking breaks & walking meetings! Make an effort to get up and walk over to get a cup of tea/coffee or quick sip of water every now and then. These walking breaks reduces your sitting time and also might make you pee more. 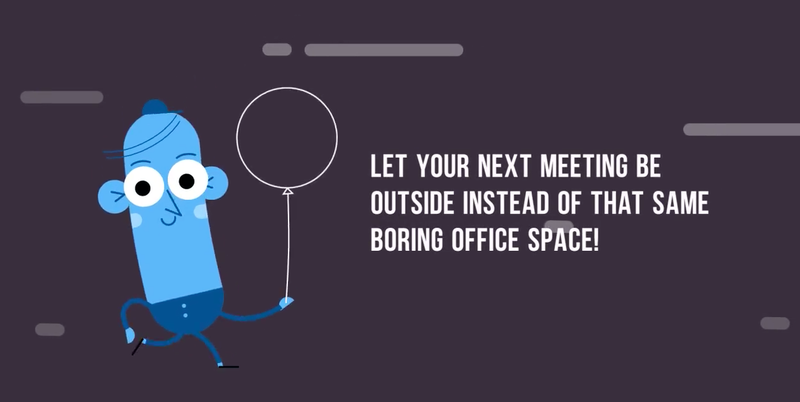 Your next meeting, let it be outside instead of that same boring office space. Volunteer to walk your colleague. Walk through a park or simply down the street and going over the weekly progress with your coworker. It’s a great way to freshen up your mind and keep up for focus all while getting your feet moving. Short bursts of exercise like this improve activity and concentration for up to two or three hours afterward. 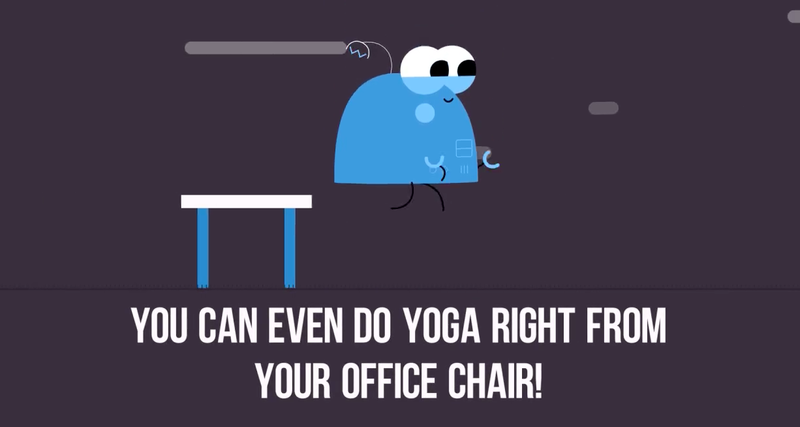 Ground your mind & body with chair yoga! Chair yoga is a fantastic get way option to relax from head to toe and it's something you can do right from your office chair. With our hectic 21st century lifestyle, yoga can be an important health practice in combatting sickness and injuries common in modern workplace, and to develop a healthier, a more productive working environment. Not only is yoga good for the body, but the mind too. You’ll feel ready to tackle the working day, stretched out, less stressed and more comfortable in no time. Use these simple and powerful gestures at work to reduce your stress, increase concentration, minimize fatigue, and spark creativity.